Former President Bill Clinton finally tells the truth about Obamacare at event and trashes it calling it a “crazy system” that “doesn’t work,” and “doesn’t make any sense” and is “killing the small business people”. OUCH. Yes, that came from Bill Clinton’s, Hillary’s husband, not the vast right wing conspiracy. So is he saying this to get us to a single payer healthcare system? 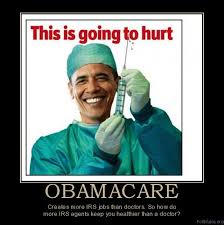 Because Bubba Clinton is saying even Obamacare doesn’t work. Even though we have been telling you from the outset it was never intended to work. Michelle Malkin opines, did Bill Clinton just give another reason, a a very good one, to vote against his wife. Former President Bill Clinton attacked President Barack Obama’s signature health care legislation Monday, calling it a “crazy system” that “doesn’t make any sense” during a Michigan campaign event for Hillary. 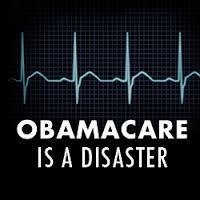 So why did Obama and the Democrats change the healthcare to system to Obamacare? An internal audit of 731 Veteran Administration medical centers revealed that the VA scheduling scandal was as bad if not worse than we first thought. The VA said more than 57,000 new patients have waited at least 90 days for their first appointments. As reported at USA Today, some 100,000 veterans across the country are waiting long periods to see doctors. 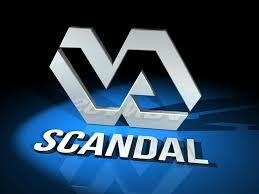 Also, 13% of VA schedulers stated they were told to falsify appointment requests. The report also showed that employees at 24 sites said they felt “threatened or coerced” to enter incorrect information. Just curious, does the VA have a compliance department? Did anyone of these employees not feel the responsibility to come forward to a compliance officer and divulge the lack of ethics that was taking place? Where the hell is Attorney General Eric Holder and criminal charges against those responsible? This was not abuse, it was FRAUD!!! The Department of Veterans Affairs on Monday shed light on the depth of the VA scheduling scandal and substantiated claims that rank-and-file employees were directed to manipulate records. The agency said more than 57,000 new patients have waited at least 90 days for their first appointments and that about 13 percent of VA schedulers indicated they were told to falsify appointment-request dates to give the impression that wait times were shorter than they really were. The information comes from the agency’s internal audit of 731 VA medical centers, which the VA released Monday. The report said that complicated scheduling practices created confusion among clerks and supervisors, contributing to the problems. It also said the VA’s goal of providing an initial appointment within 14 days of a request was unattainable because of the growing demand for care among veterans. The inspector general’s report last month said VA data showed an average wait time of 24 days when the actual rate was 115 days on average, illustrating the effect of manipulating the records. Tennessee: Wait times at Midstate VA hospitals longest in nation. Veterans hoping to see a doctor for the first time in the VA’s Nashville and Murfreesboro hospitals wait an average of 65 days to see a physician, well beyond the 14-day target window put in place by U.S. Department of Veterans Affairs officials, according to data released to USA Today. Pennsylvania VA clinic fifth worst for mental health care appointments in the nation. The Philadelphia VA had 1,141 new enrollees wait more than 60 days for an appointment, while Pittsburgh had 443. But Pittsburgh had the longest wait time for new enrollees, at almost 60 days. The figure for Philadelphia was about 43 days, while Erie was 21. The VA released the nationwide audit today, the first look at its network in the uproar that began with reports of patients dying while awaiting appointments at the Phoenix VA center. The audit found long wait times across the country for patients seeking first appointments. Several other states fared far worse than the Pennsylvania clinics. The VA in Honolulu, Hawaii, had the longest wait at 145 days, followed by Harlingen, Texas, at 85 days and Fayetteville, North Carolina, at 83 days. Barack Obama has the audacity to show up in Normandy on the 70th anniversary of D-Day and pretend like he cares as veterans are treated like this? America, he knew there was a problem.